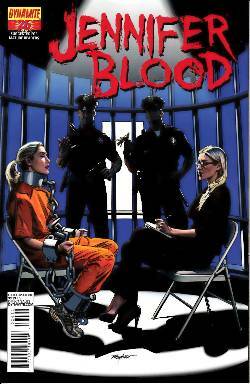 Stone-cold vigilante Jennifer Blood is no longer trapped in the confines of the domestic life. No, now she's the most notorious inmate of Las Chacales Women's Correctional Facility... and she fears that she's been targeted by someone beyond the bars and barbed wire. Who could possibly have the connections and inclination to reach her in prison?